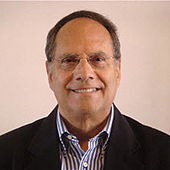 Bruce Blechman is the author of The Secret to Getting Money in Northern California and co-author of the best-selling book, Guerrilla Financing, published by Houghton Mifflin in a number of languages and used in college courses nationwide. Mr. Blechman is a nationally recognized speaker and is considered to be one of the country's top experts on the subject of entrepreneurial finance. He has been a national columnist, author of the monthly column, "Creative Financing" in Entrepreneur Magazine and host of the New Venture Money Show on the Business Radio Network, as well as a guest on numerous radio and TV programs. Articles about him have appeared in USA Today, The Los Angeles Times and other national publications. He graduated in the top quarter of his class at the Wharton School of Business at The University of Pennsylvania and he has taught courses on Entrepreneurial Finance as an adjunct Professor, was a mentor in the Wharton Business Plan Program and he has been an advisor to the California State Governor and Legislature on entrepreneurial business. He is also the founder of The Capital Institute, a 22 year old, nationally recognized consulting firm that has helped thousands of entrepreneurs finance their businesses. He created "Print Your Own Money Legally" which shows the entrepreneur outside-the-box financing techniques to grow their business, and he has recently developed "The Start-Up Capital ToolKit", a fast tract financing system that jump starts a new business so that it can be up and running in a matter of weeks, instead of months or years. Using the innovative new financing system in The Start-Up Capital ToolKit, any start-up business can be funded in weeks, without using the owner's own cash, collateral, credit or personal contacts and without having the owner giving up their day job!